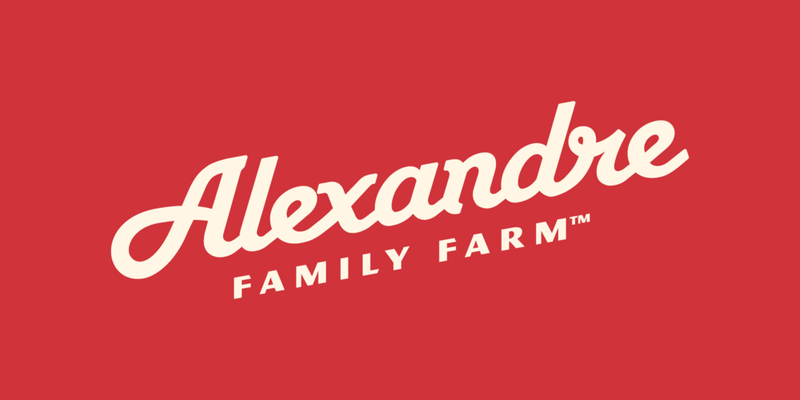 Alexandre Family Farm is a dairy based out of Crescent City, California, producing some of the best milk around. They specialize in organic A2/A2 milk, which is easier to digest than other milk due to the presence of a specific protein that is naturally absorbed during digestion. From initial discussions with the Alexandres, the goal of the brand was to have a “classic California” feel incorporated into a purely typographic signature. We looked at everything from Farmall Tractors to vintage milk caps to tap into something that could evoke a bygone day, while still appealing to millennial dairy buyers. There were many secondary brand elements created as well, including a decorative "cattle brand” style monogram, bible verses which were embossed into the bottom of their milk bottles, as well as photo styling and color treatments.